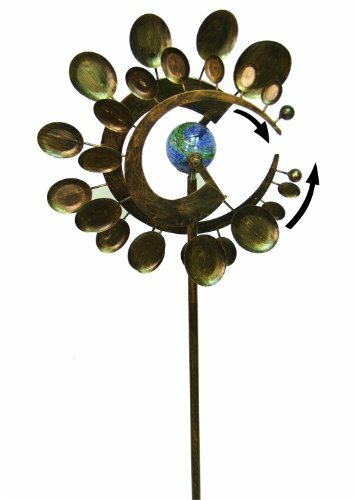 Kinetic metal sculpture that glows in the dark. 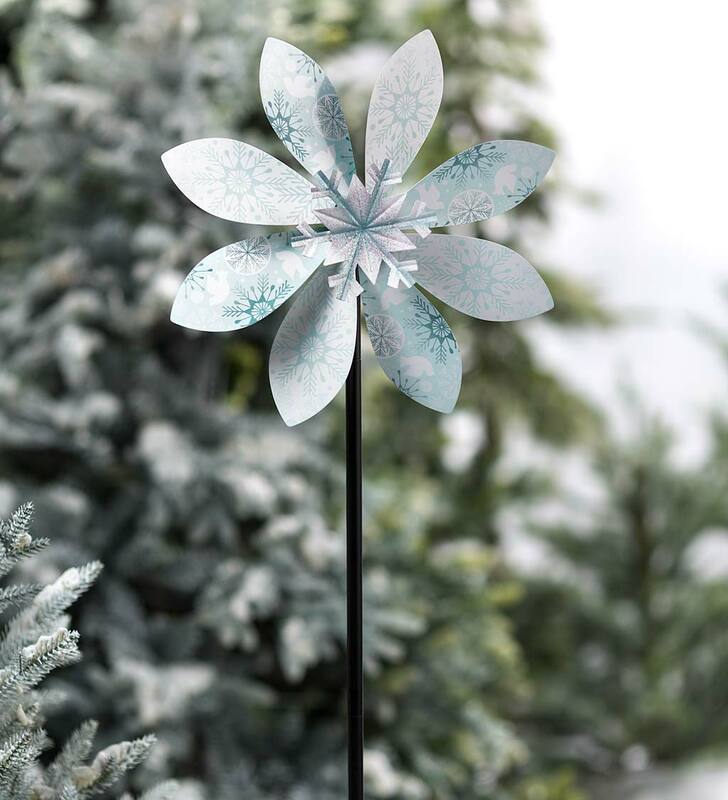 The kinetic design of the windwheel allows it to rock and rotate around a glow-in-the-dark globe in the center. Spoons on the front and rear Wind Wheels are oriented to catch the wind on a gusty day and rotate opposite each other. 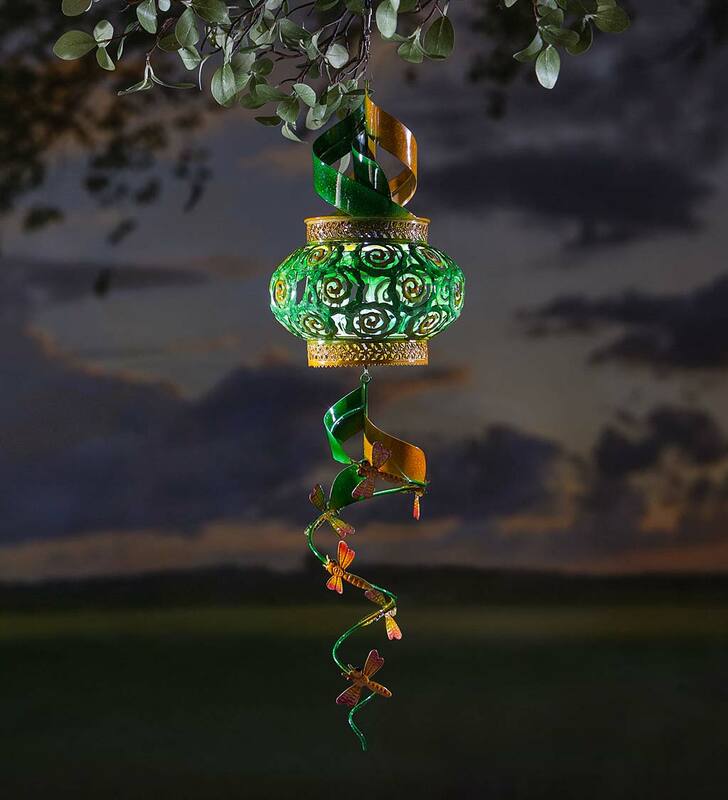 Luminescent crystals in glass globe absorb light energy during day and release it at night in a subtle green glow. Product is stationary and must face diagonal to the direction wind is coming from for movement to occur. 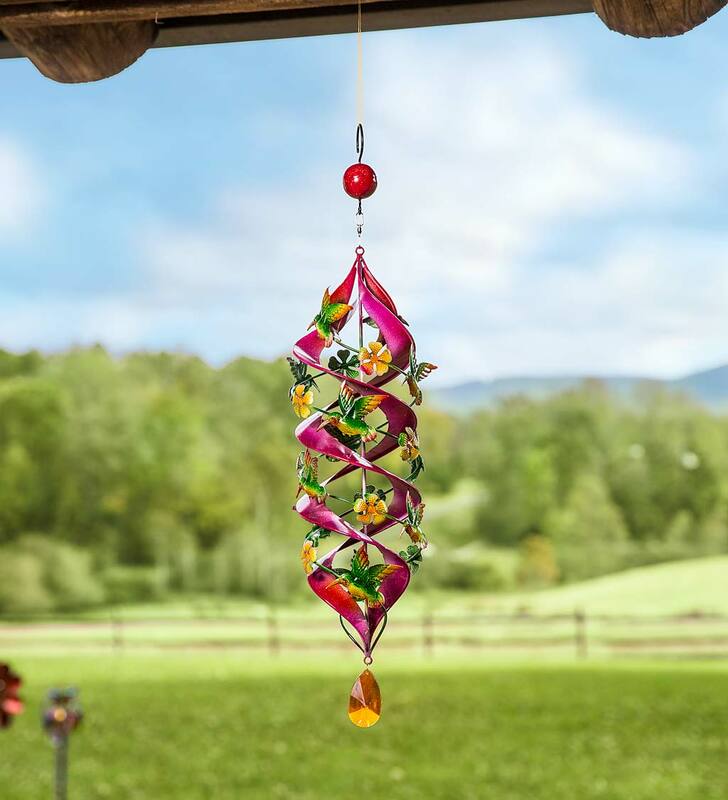 Red Flower Studio M Kaleidoscope Spinner, 13"
Our Solar Hanging Swirl Spinner/Lantern is two delightful accents in one. 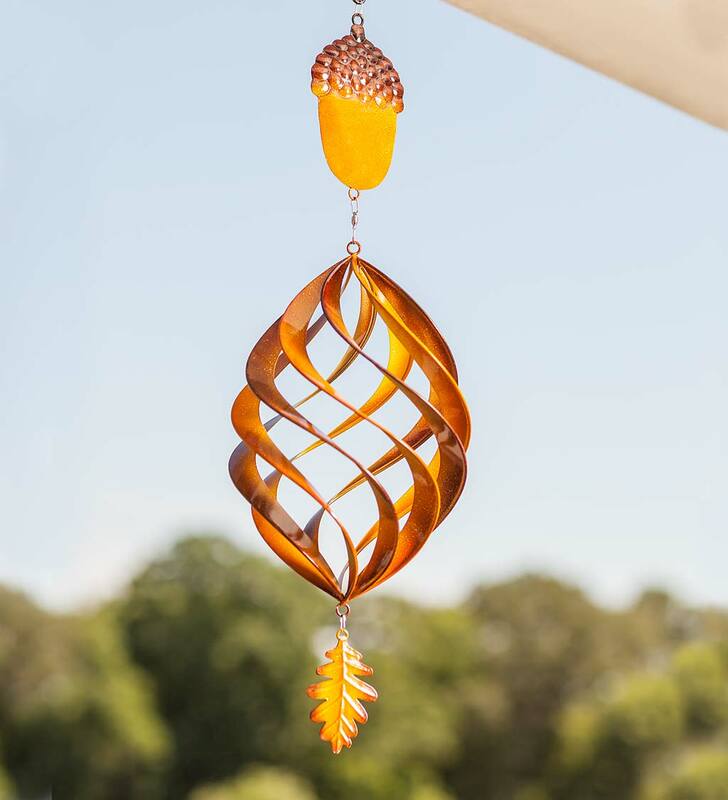 Hang it and enjoy the mesmerizing swirl spinner that twirls and whirls in the breeze. 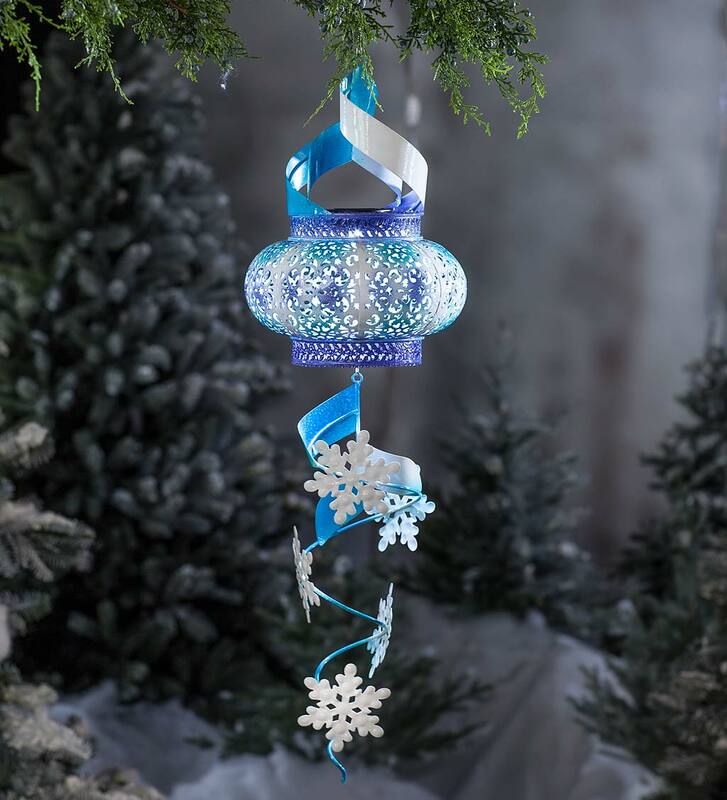 Remove the bottom swirl section, and you have a stunning lantern for tabletop, stair steps and more. An integrated solar panel powers the bright white LED, which casts a beautiful pattern of light through the ornate metalwork. 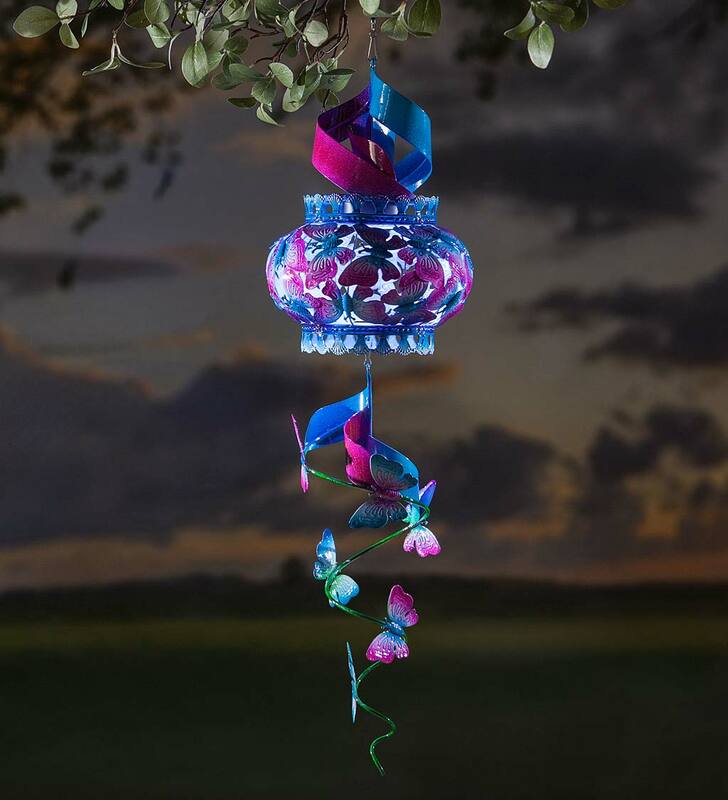 Charming fliers accentuate the hanging swirl section, while vibrant, cheerful colors highlight the unique design. Metal with all-weather painted finish. 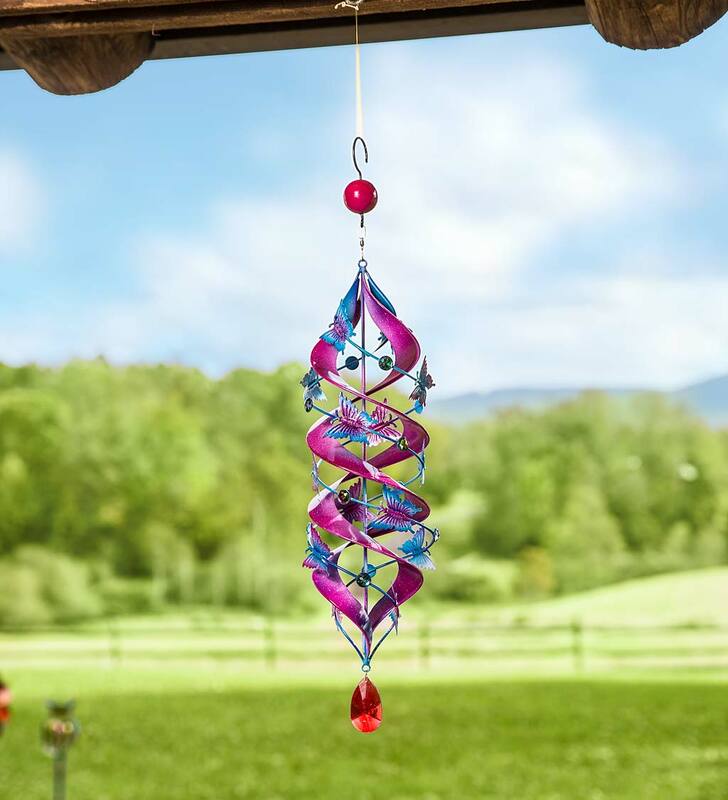 Hang this dazzling Hummingbird Helix Spinner from a deck or porch and watch the twirling colors in shades of pink and green. 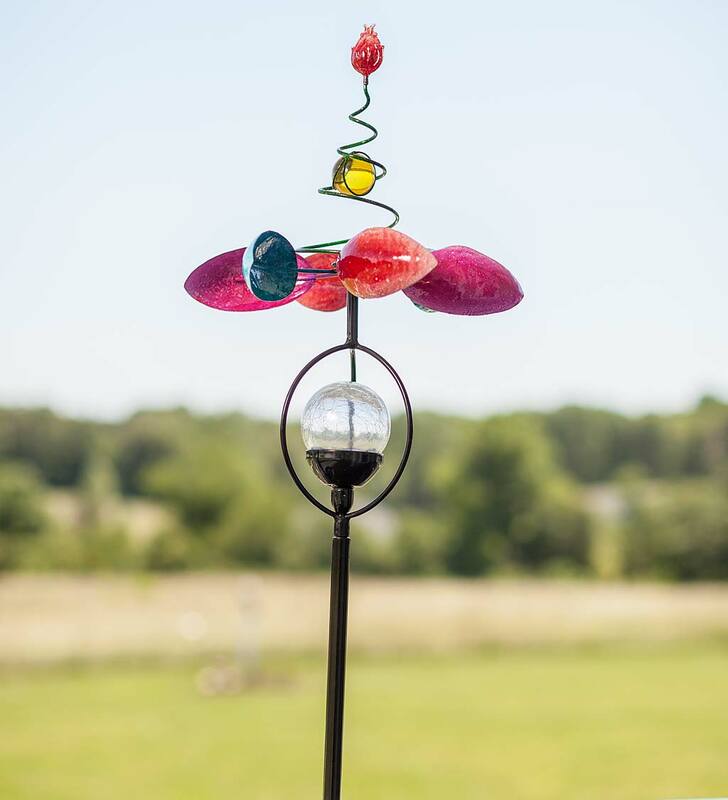 Detailed metal spinner features hummingbirds and flowers attached to a helix design that spins in the breeze with mesmerizing motion. 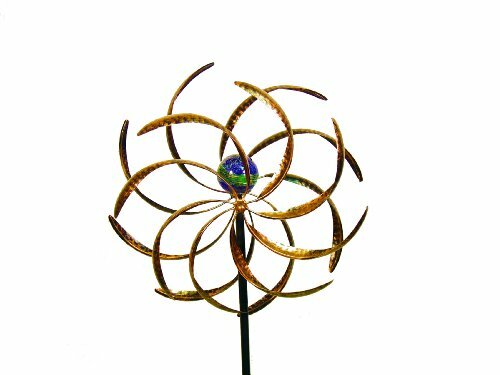 The painted finish is bright with a speckled effect, while a sphere and jewel accent the top and bottom of the spinner. Hanging hook included. This is a fun and easy outdoor accent! 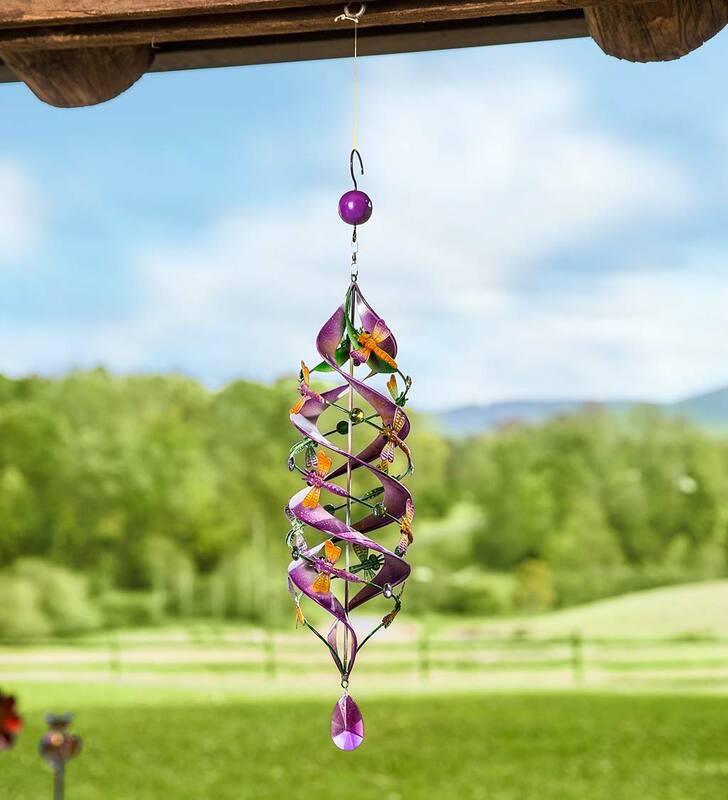 Hang this dazzling Dragonfly Helix Spinner from a deck or porch and watch the twirling colors in shades of purple, yellow and green. 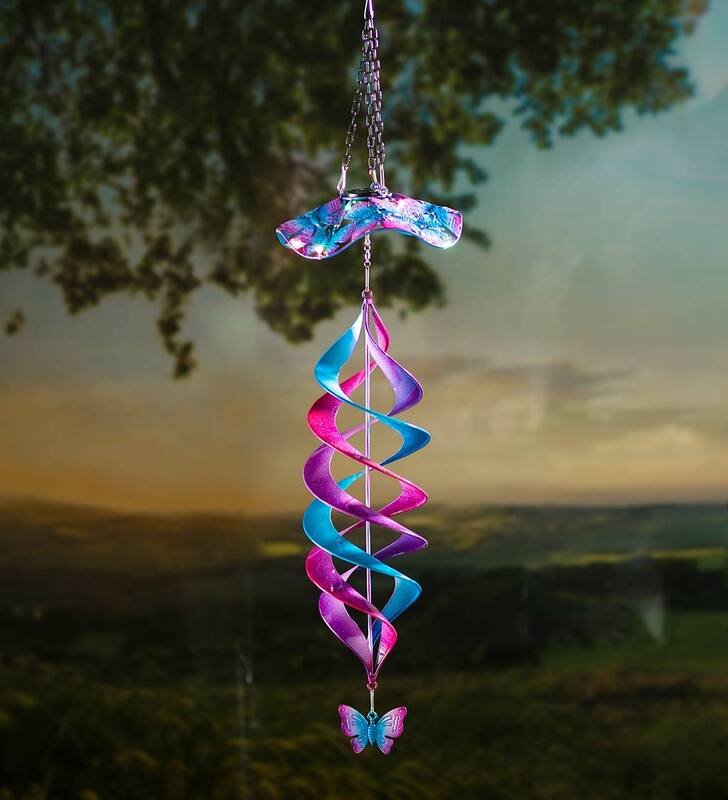 Detailed metal spinner features dragonflies attached to a helix design that spins in the breeze with mesmerizing motion. 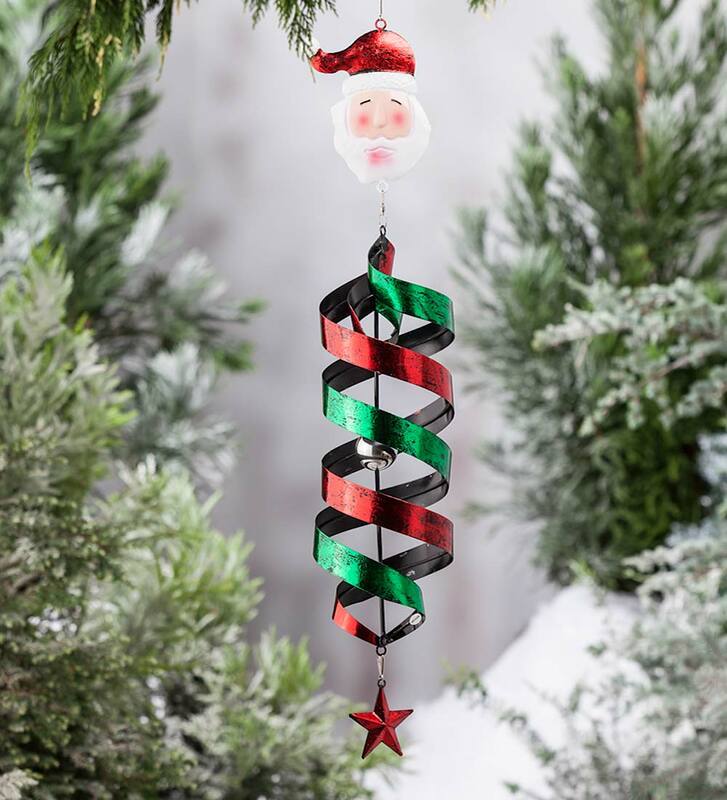 The painted finish is bright with a speckled effect, while a sphere and jewel accent the top and bottom of the spinner. Hanging hook included. 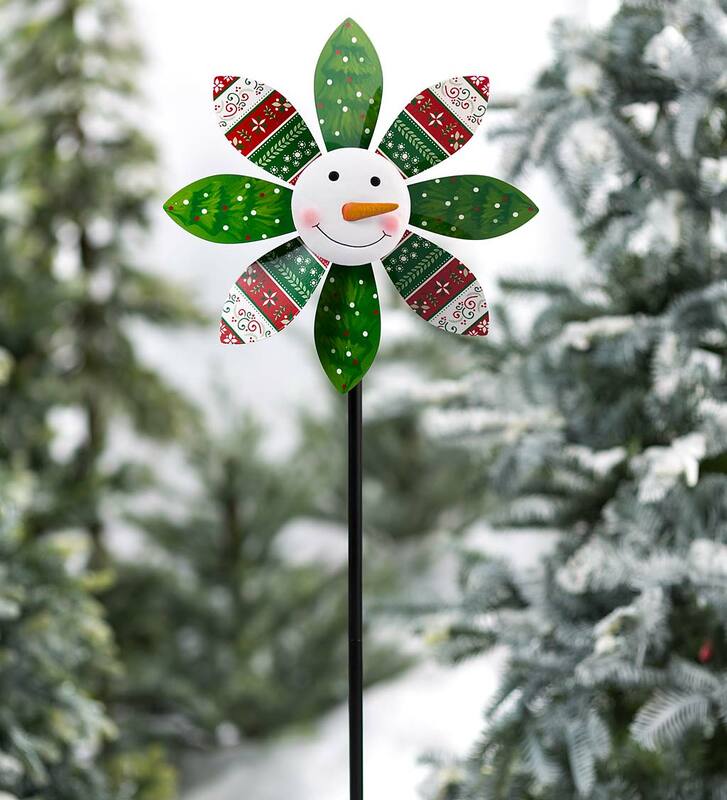 This is a fun and easy outdoor accent! 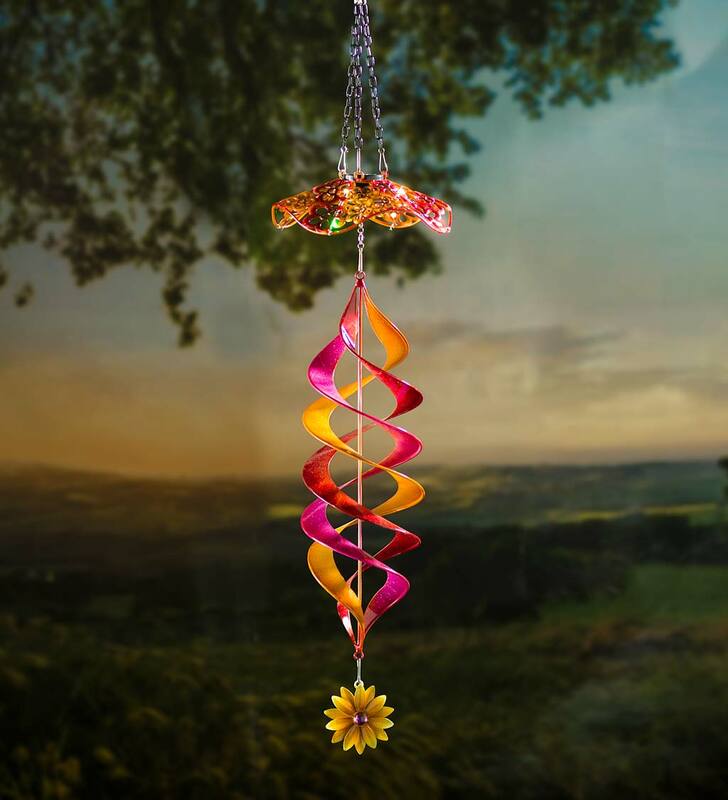 Hang our Hanging Seasonal Swirl Spinner and enjoy the mesmerizing swirl spinner that twirls and whirls in the breeze. 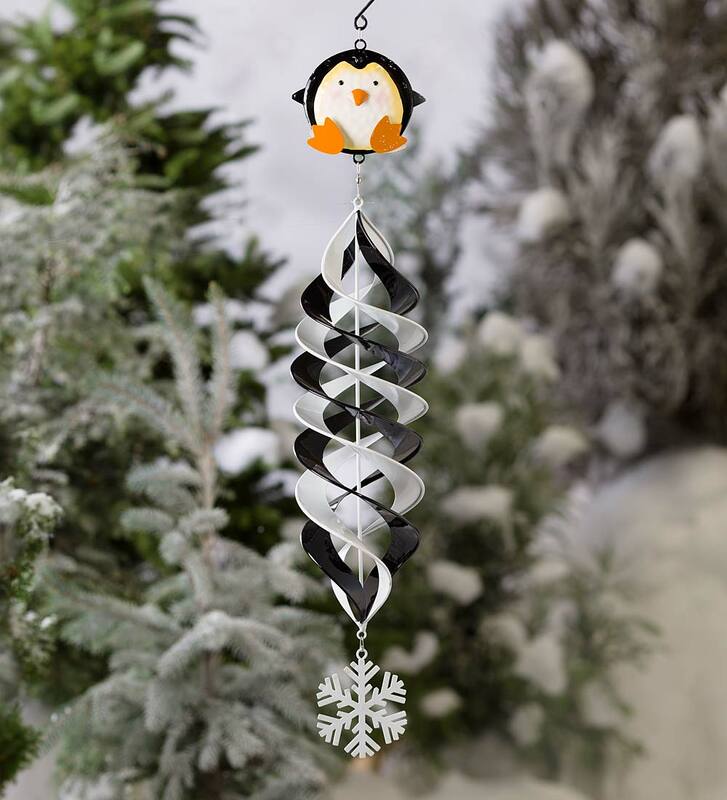 Charming seasonal icons accentuate the hanging swirl section, while brilliant color highlights the unique design. Metal with all-weather painted finish.